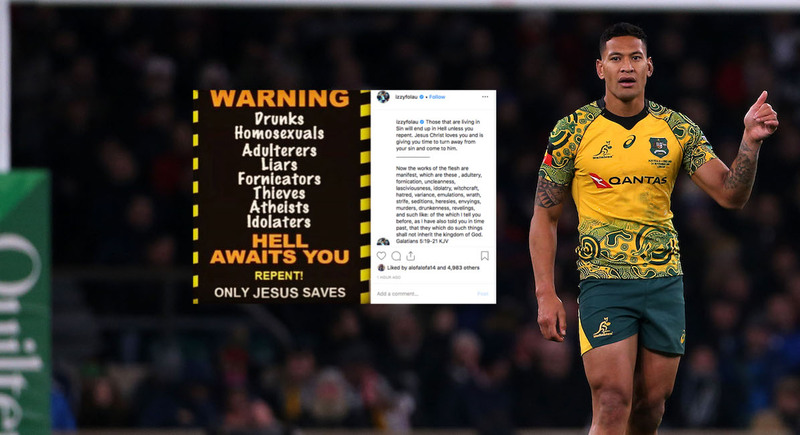 After spending Sunday afternoon with his congregation in north-western Sydney, Israel Folau did not back down from his controversial comments about homosexuals ending ‘up in Hell’ and said he is prepared to stop playing rugby if that was what God wanted for him. “Absolutely,” Folau said “First and foremost, I live for God now. Whatever He wants me to do, I believe His plans for me are better than whatever I can think. If that’s not to continue on playing, so be it.